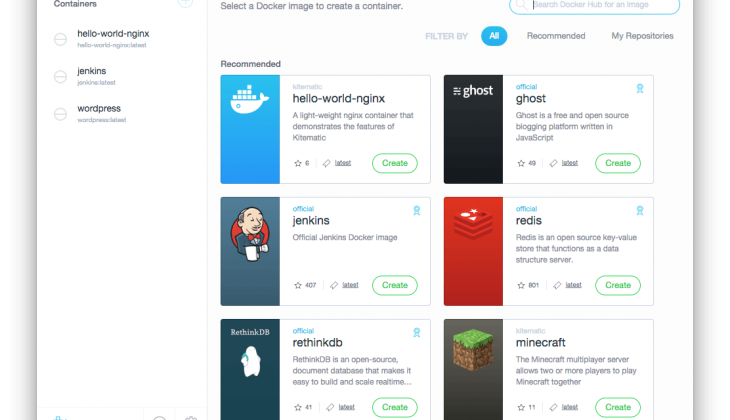 Kitematic is a desktop GUI application for Docker. Kitematic is an open source project built to simplify and streamline using Docker on a Mac or Windows (coming soon) PC. Kitematic automates the Docker installation and setup process and provides an intuitive graphical user interface (GUI) for running Docker containers. To run Docker containers on your Mac, Kitematic will automatically download and install latest version of VirtualBox and start a Linux VM on top of it. 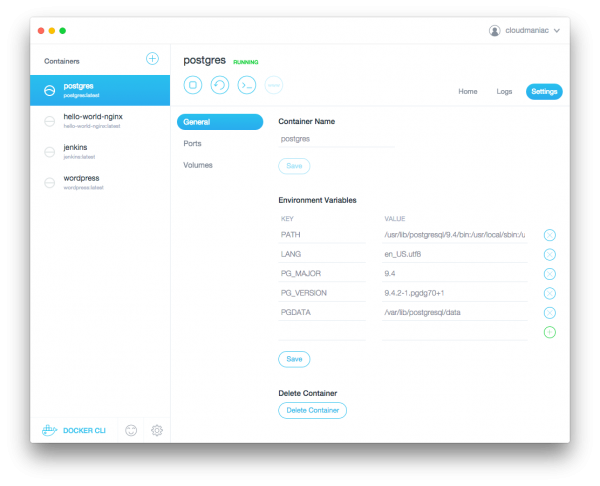 Since the latest version (0.6), there is also a Docker Hub integration, and you can launch containers based on your images stored in your private repositories. Once logged, you can browse repositories or search for images to start containers. You can use the GUI to create, run and manage your containers just by clicking on buttons. The container list on the left side includes all containers (even those not started by Kitematic) giving you a quick over-view of the state of your Docker daemon. 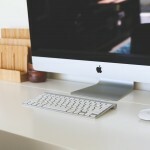 Kitematic also automates advanced features such as managing ports and volumes. 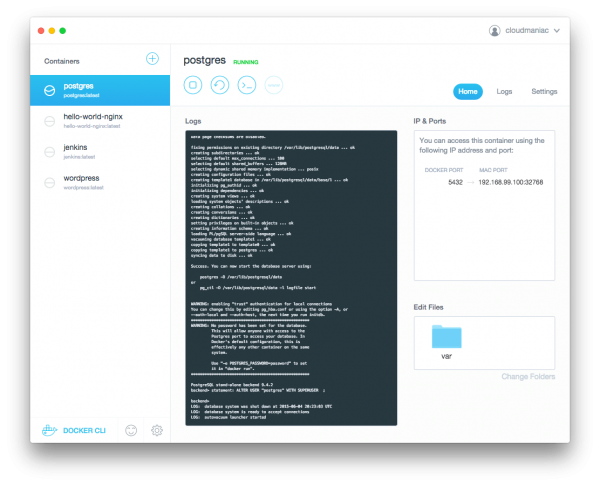 You can change configure volumes, map ports, stream logs, and single click terminal into your Docker container all from the GUI. Many images use variables to let you customize them. You will found them in the “General > Settings” tab, where you can add and modify the environment variables used to start a container. Kitematic offers a seamless experience between GUI and CLI: you can interact with existing containers in Kitematic or create new containers via the Docker CLI. Any changes you make via CLI are directly reflected in the GUI. I largely prefer using the CLI with Docker and in general. However, Kitematic is a good start for developers who are new to Docker or for those used to GUI / IDE.